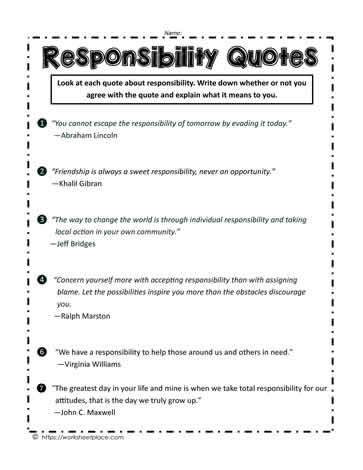 Use these responsibility quotes for teaching about the character traits. Ask children to define what they mean and whether they agree with them or not and explain why. Teaching ideas for being responsible. The responsibility pillar teaching ideas and worksheets.